Ooh, I thought you’d never ask. 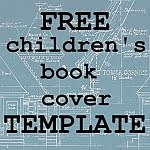 I’ve been offering a free 8.5” x 8.5” children’s book template for a while and it’s very, very popular. No wonder. When I wanted to find a free template to give me some idea of how to format my kids’ books, I couldn’t find one anywhere. So I made one, and then shared it with you. Now, 8.5” x 8.5” is a great size. I love it. That size is perfect for a 32-page picture book, or even something a little shorter (for younger kids) or longer (for slightly older kids). But it’s not perfect. That’s where 6” x 9” comes in. You’ll probably discover the limitations of 8.5” x 8.5” most especially when it comes to slightly older kids. Big kids don’t usually like to pick up a big square book. They want something smaller, and sleeker. That’s where the new 6” x 9” children’s book template comes in. 6” x 9” is also the most common size of self-published book out there, even for adult books. If you like the template, feel free to use it for adult books (lower the font size a bit) or anything else you’d like. Like the 8.5” square template, this one contains full instructions, and page numbering is set up for you already. Add as many pages of text and images as you like, and it will expand to fit your needs. I’ve included links on the download page so you can also pick up most of the fonts I’ve used (this template uses Garamond, which is distributed free by Microsoft with most versions of Word). You can always switch things up and use your own, too, of course. Like I said, this was something that never existed before – at least, not that I could find (and I’m pretty handy with Google). And now that I’ve set it up it for my own books, it’s easy as pie to share it with you. All I ask is that you sign up for my mailing list first. Sure, you can sign up and then quit the list right away. But I’d really love it if you stuck around. I send out one short email, once a week, with writing thoughts and inspirations, as well as links to any freebies I’ve got coming up. No ads, no spam, I promise. Once you sign up and confirm your approval, you’ll be taken straight to the download page. As always, if this resource is helpful to you, I’d love to hear about it in the Comments section. Probably others would as well. One-star review?!? What to do when it happens to you. Did you ever fall totally in love with your own book? But as all the romance novels suggest, love makes us vulnerable. In this case, vulnerable to… our readers. Like that one reader in however-many who comes along and absolutely hates your book. It happened to me two days ago, and I’m still reeling. I made the book light on facts for a reason, by the way. How I ended up writing a Bible story (and why you might, too). 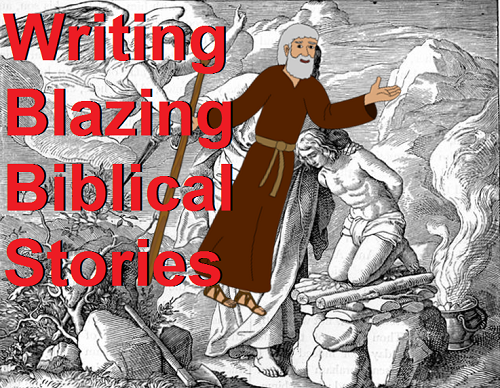 Excerpt from Writing the Bible for Children: How to write blazing Biblical stories and picture books for kids. I never write a story I don’t love. But sometimes, it’s possible to write a story you don’t like very much, at least at first. Stories can grow on you surprisingly quickly. Years ago, I wrote a personal essay about how I didn’t bond with my daughter instantly. She was a preemie, scrawny and demanding, her wail high-pitched and insistent. Her birth was unexpected, my marriage was in trouble; it just wasn’t the best time in my life to have a baby, and then she was whisked away to the neonatal ICU moments after birth. Trust me, it wasn’t the best setting for mother-baby bonding. Yet I fell in love with my daughter anyway, albeig on her second day, because the first was just so crazily difficult. That story, one of my most successful, was later anthologized in the book Chicken Soup for the Mother-Daughter Soul. The fact that editors loved it, that it sold almost instantly tells me two things: one, I’m a great writer (yay for modesty!) and two, a lot of people have gone through that experience of not bonding instantly – of falling in love with their baby a little late but just as deeply. I mention this because you may experience the same thing with a Biblical story. Or perhaps with all Biblical stories. Most of them are hard to love, at first. Most of them are pretty scrawny, for one thing. From a modern perspective, they’re short on details: there’s almost no attention to basics like character development, establishing the setting, or on making sure the thing flows from one narrative to another. If it wasn’t God’s book, you could easily imagine it getting one or two stars on Goodreads or Amazon. Elijah and the Priests of Baal, covers, interior, and the secret back story. Getting proof copies in the mail. There may be more wonderful feelings, but not that are reasonably cheap and legal in all 50-some-odd states. This book is called Elijah and the Priests of Baal. It’s an approachable Biblical narrative for slightly older kids. Illustrated by a super-talented artist who was a pleasure to work with. More words & substance than your typical picture book... more pictures than your typical big-kids' book. It's sort of a hybrid for big kids who like pictures. Here I am getting my hands on it, literally, for the very first time. I’ll be honest: I was always bored to tears, or thought I was, by stories of the ancient prophets (in Hebrew, nevi’im). I never thought I would write a Biblically-based story. I’m just not that kind of person – I thought.